We will be releasing a Christmas Newsletter in the coming weeks with all of our important club updates. We will distribute these to all the neighbouring houses and will be available in the shop and O’Connors etc. The Club Lotto continues to grow and no winners this week. The Women’s team are back up and running in a pre-pre-season training plan. Our Men’s team have their Christmas night out this weekend and will reflect on the year gone by and look towards the new year. Best of luck lads! Thanks to everyone and special thanks to Santa who came out to see all the kids of Ballyboughal GFC in Bounce ‘N Beyond at the weekend. Thanks to Maurice Grehan in setting up our new website, which will now be looked after by our website sub-committee from here on out. 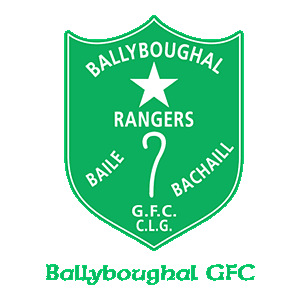 Why not follow us on Social Media, we have Facebook, Twitter and a newly launched Instagram Page – Search BallyboughalGFC on all three platforms.